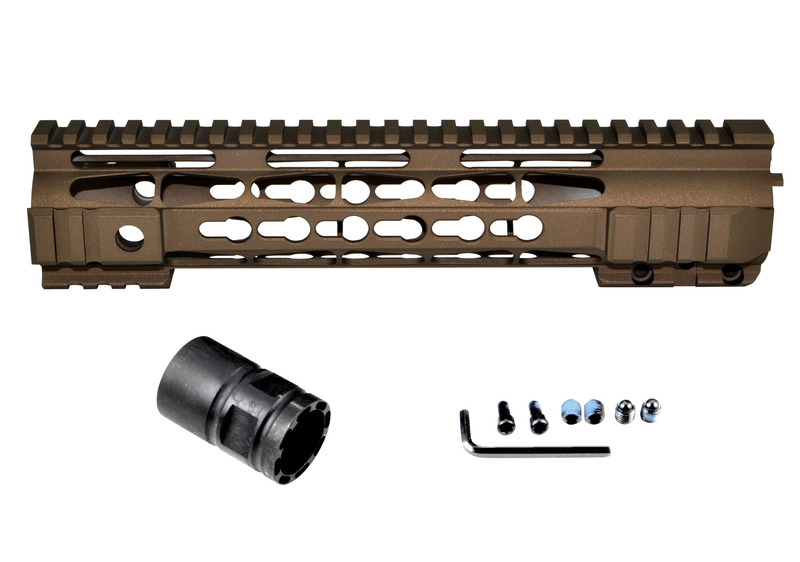 Presma® Jackal Series AR15 .223/5.56 Super Slim Free Float Handguards, 10” - Cerakote Bronze Brown. Jackal Series now available with Cerakote Finish! Cerakote is an oven cured, thin permanent ceramic gun coating that is rust-proof, self-lubricating, scratch-resistant, and solvent resistant. 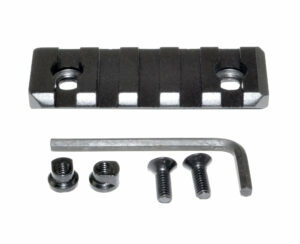 Also enhances impact strength and hardness and is designed to last the lifetime of the firearm. 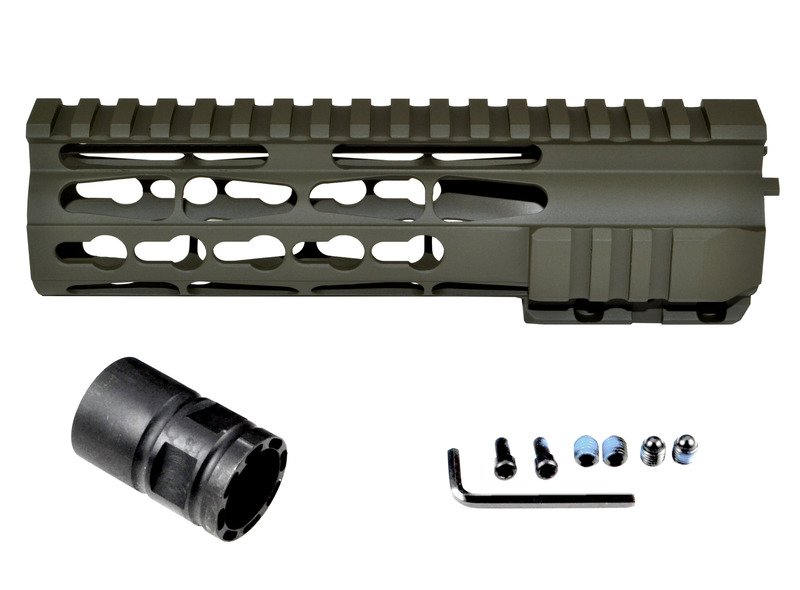 Presma® Jackal Series AR15 .223/5.56 Super Slim Free Float Handguards, 10” - Cerakote Dark Green. 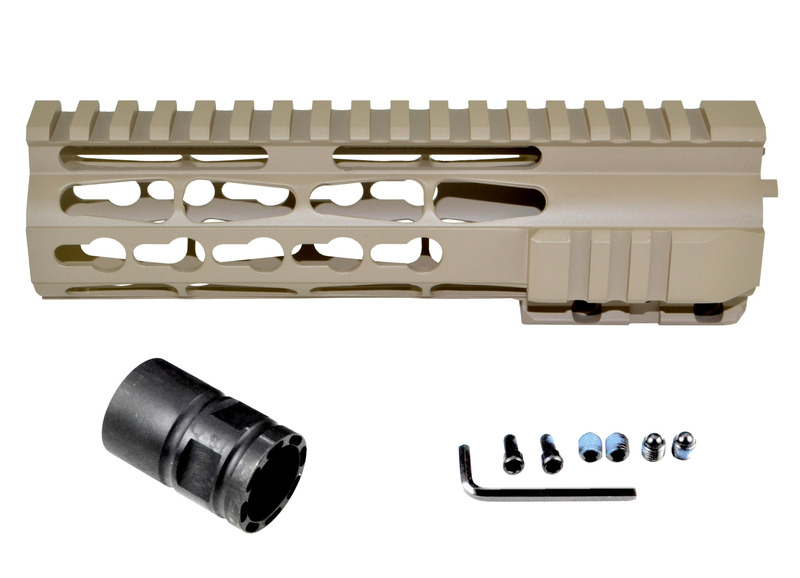 Presma® Jackal Series AR15 .223/5.56 Super Slim Free Float Handguards, 10” - Cerakote Desert Sand. Presma® Jackal Series AR15 .223/5.56 Super Slim Free Float Handguards, 10” - Cerakote Hot Pink. 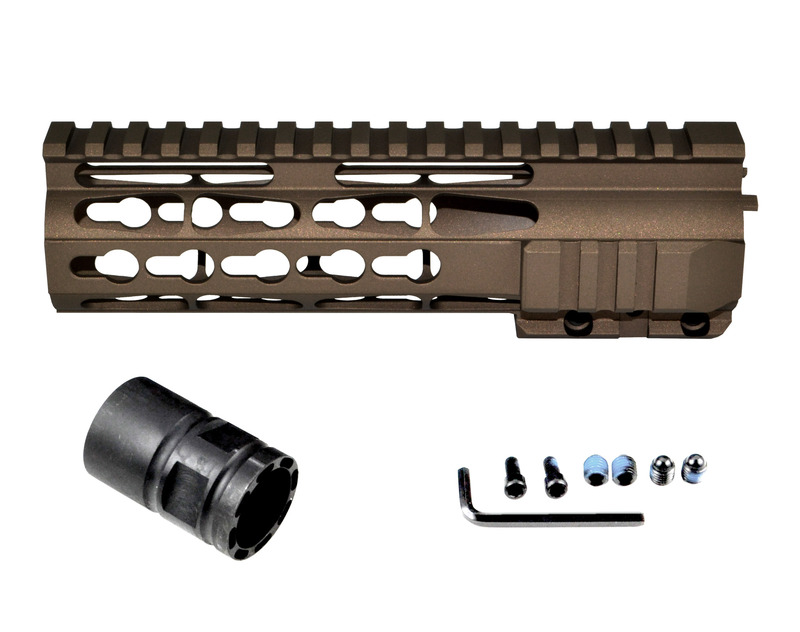 Presma® Jackal Series AR15 .223/5.56 Super Slim Free Float Handguards, 7” - Cerakote Bronze Brown. 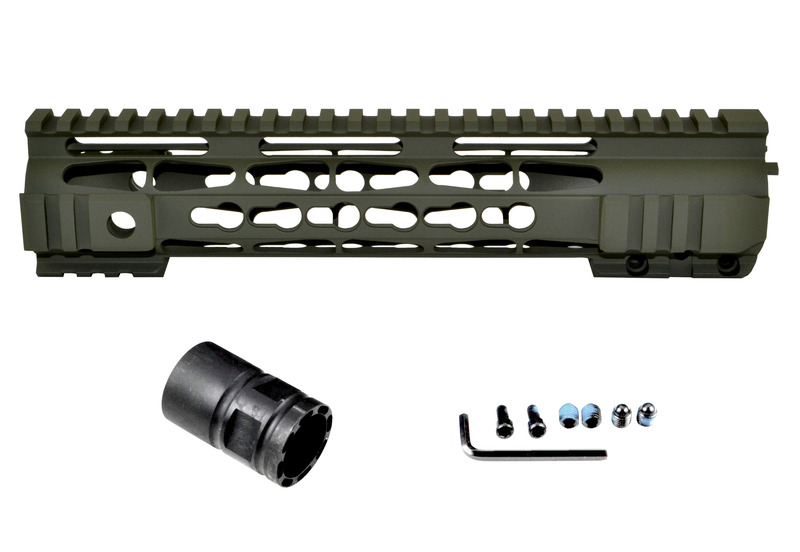 Presma® Jackal Series AR15 .223/5.56 Super Slim Free Float Handguards, 7” - Cerakote Dark Green. 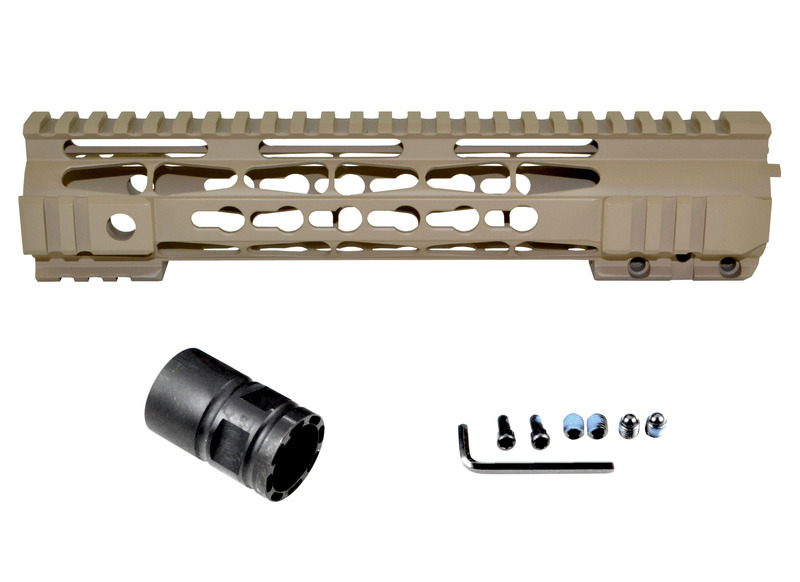 Presma® Jackal Series AR15 .223/5.56 Super Slim Free Float Handguards, 7” - Cerakote Desert Sand. 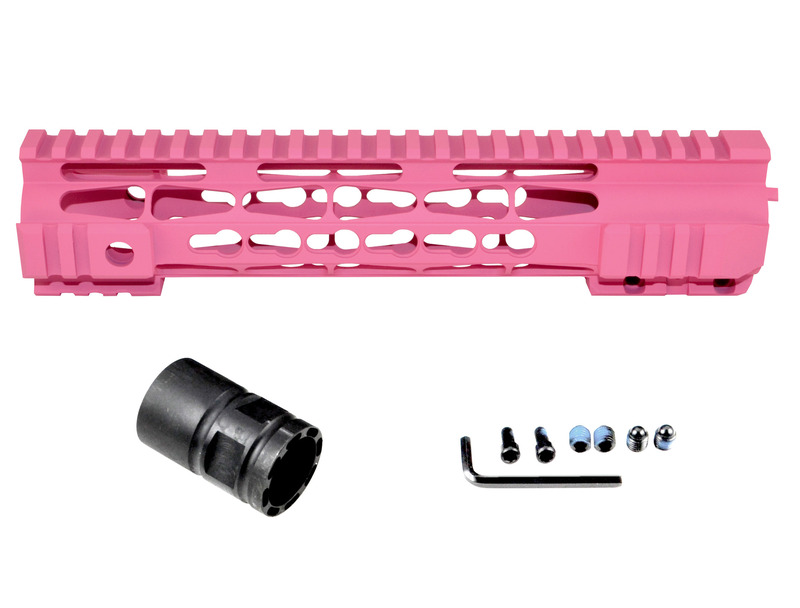 Presma® Jackal Series AR15 .223/5.56 Super Slim Free Float Handguards, 7” - Cerakote Hot Pink. Presma® Jackal Series Super Slim Free Float Full KeyMod Handguards, 10". SKU PRJA061 New All-Around Keymod Accessory System This Jackal Series Handguard features an optimized one-piece, free float structure. This design demonstrates the ergonomic and durability; that users demand while maintaining the lightweight nature they can expect from Presma. 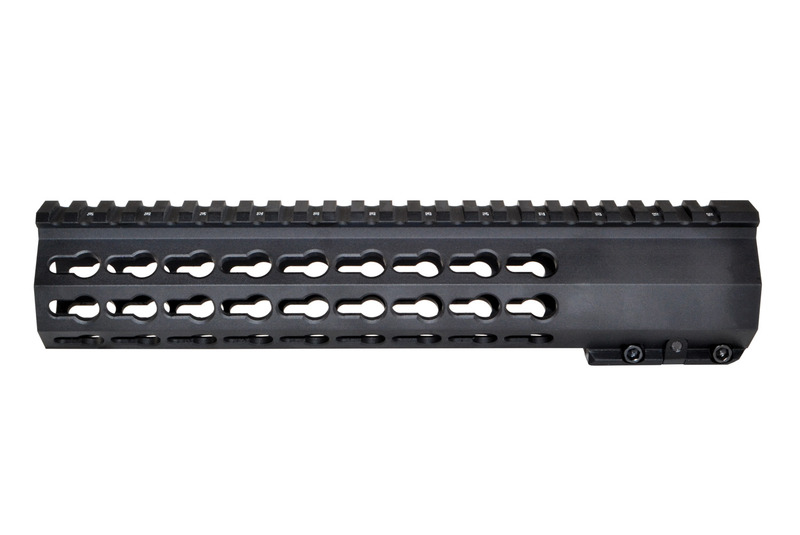 The Jackal Handguard’s lean and user-friendly design allows operators to maintain better control of the firearm. 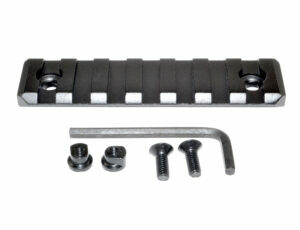 The top, uninterrupted and versatile picatinny rail provides the user an adequate amount of space for sights and accessories. 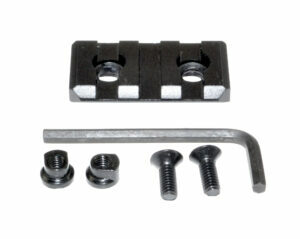 This new rail also includes full all-around integrated Keymod holes for Multiple Keymod rail attachments.